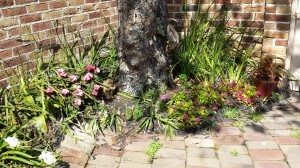 Since we moved in, the front garden has been messy uneven brickwork. Someone who lived here a very long time ago spent a lot of effort arranging the brick pavers in a circle pattern, but there were two problems. 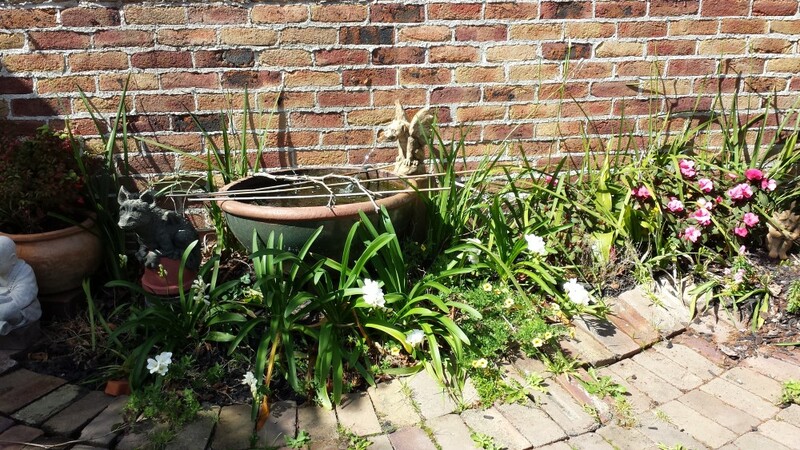 Firstly, the circle pattern means there are a lot of big spaces between the rectangular bricks – and these spaces get more and more full of weeds over time. 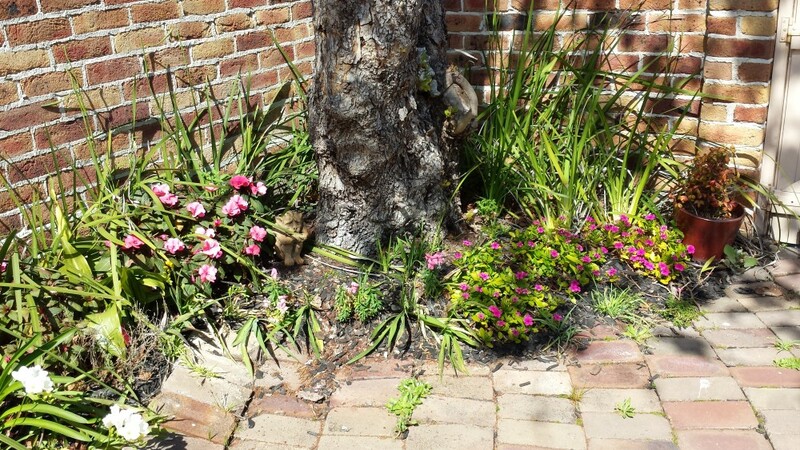 Second, the little trees they planted turned into big trees, and the roots had lifted all the bricks unevenly, and so the gate no longer opened without contact with the bricks and the walking area was one big trip hazard. It’s easy to see how the bricks were lifted up by the roots of the big plane tree here, and how the tree has outgrown the original corner placement, and is butting up against the brickwork. It’s also very close to making the garage wall crack, and will probably have to be taken out in five years or so.